Cultivating Opportunities is a social enterprise that co-creates meaningful work opportunities in organic farming with individuals looking to re-connect with themselves and nature. We focus our hiring on individuals living with mental illness and/ or addiction as our experience has shown that working with nature is an invaluable therapy and supports a healthy lifestyle. 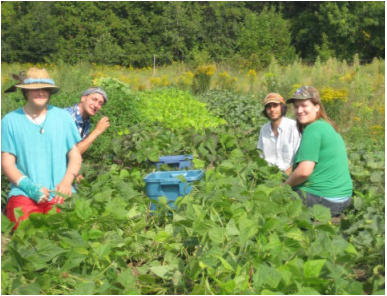 Since 2014, Cultivating Opportunities has hired 2-3 individuals annually to help grow organic vegetables on Elmgrove Farm. 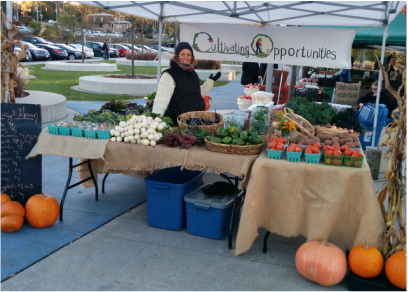 The produce is sold at farmers' markets and through CSA shares.